Providing up-to-date insights into the financial services sector, this Diploma of Financial Planning (FNS50615) is an excellent introduction to the professional requirements of a financial planner. On completion of all course modules, you will be qualified to provide personal advice and general advice to clients across key areas of financial planning including managed investments, securities, derivatives, superannuation and insurance, also known as RG146 Tier 1 financial advice. You must be issued with a Letter of Authority from an Australian Financial Services Licence Holder (AFSL) in order to provide advice in a professional capacity. 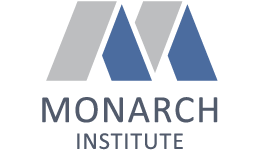 Upon successful completion of this course you will receive a nationally recognised, accredited Diploma of Financial Planning (FNS50615) from Monarch Institute. This course qualifies you to provide RG146 Tier 1 financial advice, meaning you can provide both general and personal advice. A wide variety of employment opportunities are open to qualified individuals in banks, fund managers, investment platform providers, superannuation funds, stock brokers, credit unions, accounting practices, financial planning practices, mortgage broking businesses, insurance firms, business brokers and real estate agencies. Government funding is also available to residents of Victoria. Enquire now to find out if you’re eligible.